The Gingham Grasshopper: Valentine's Day Sale! 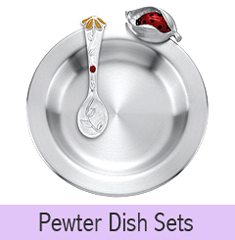 Valentine's Day will soon be here, so go ahead and get ready now. Instead of giving your little sweethearts a lot of candy or sugary treats, choose something that will last. The Gingham Grasshopper has beautiful jewelry for babies and children in sterling silver and gold. 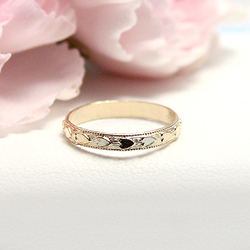 You'll find adorable baby rings with heart themes, or a classic pair of pearl earrings. 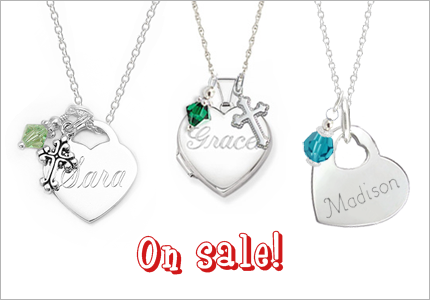 Right now we have some of our most popular personalized jewelry for children on sale! Wonderful engraved necklaces and lockets with engraving included. 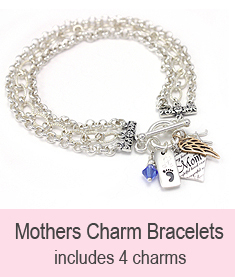 Add a few charms to create your own personal style. 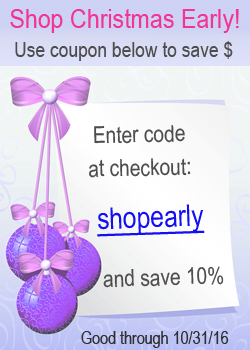 The sale lasts until February 14 - but hurry so you will receive your gift on time. Our beautiful packaging is always free and you can get a free gift card, too.